The Dryer Maid is like thousands of tiny lint brushes in every load of laundry. Get rid of pet hair from clothes and sheets while they tumble in your dryer. Mess free! 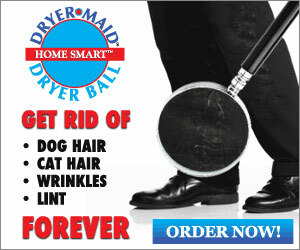 – automatically releases into your lint trap for easy disposal.